11. 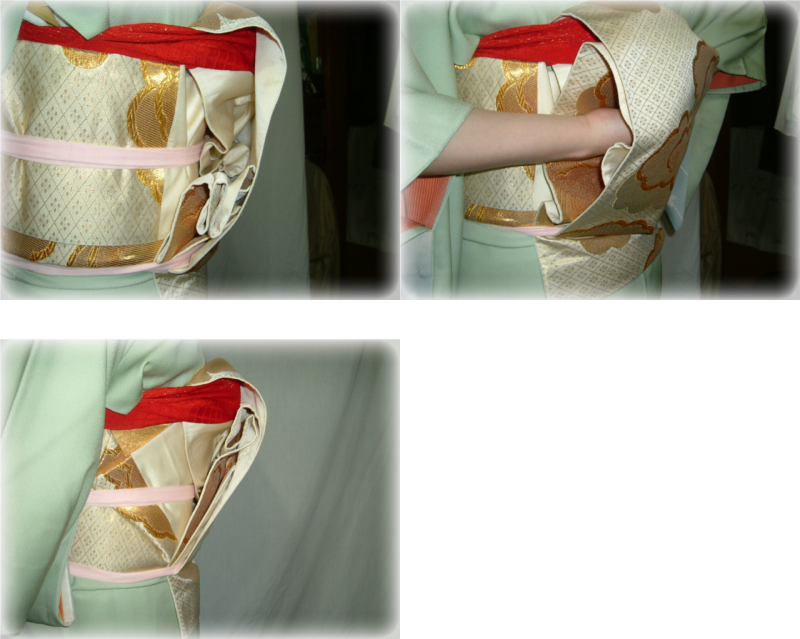 The excess part of the obi is put inside the taiko part. Next fold the excess part of the obi neatly. 12. 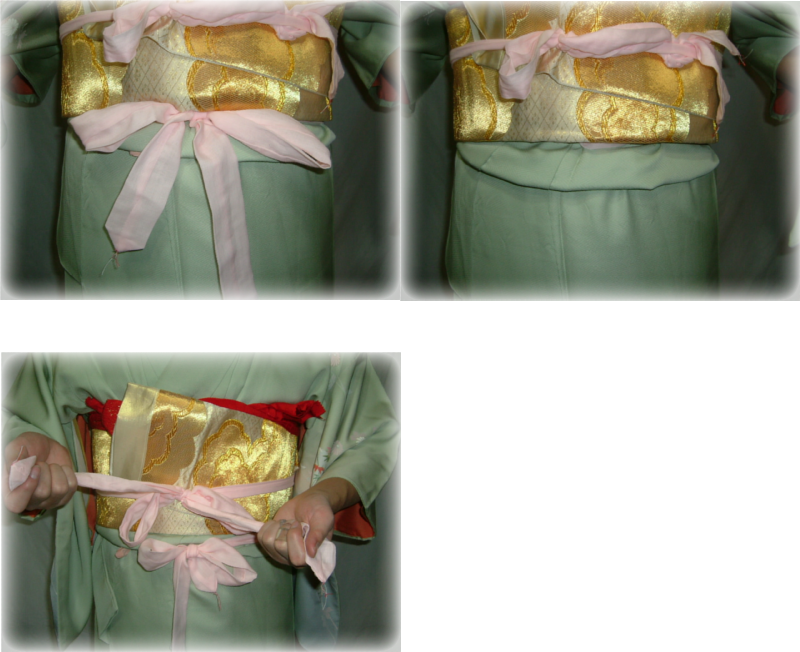 Put the koshihimo sash into the obi, and take off a koshihimo sash that ties the obi. 13. Take out the edge of the obi on your front. Bring it to your back, and put it into the taiko part. 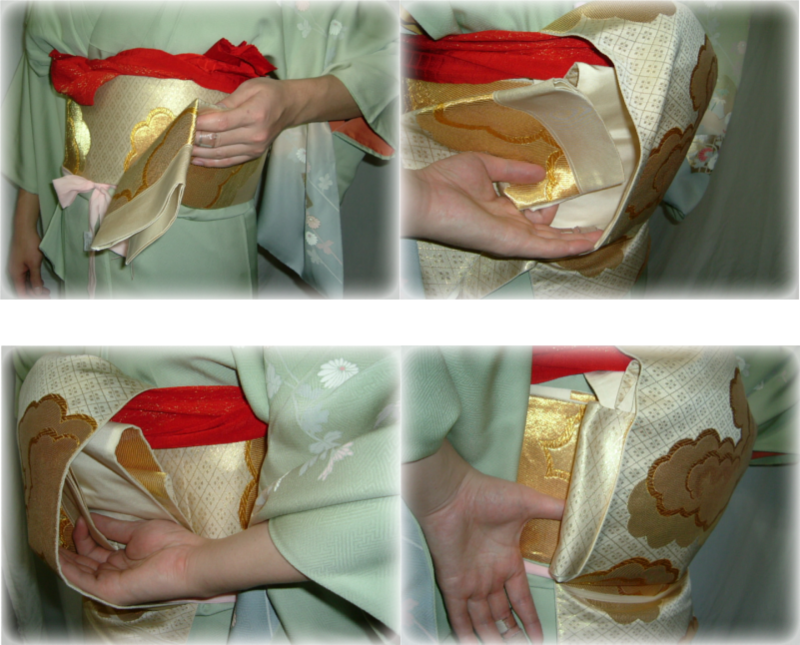 Put it through the taiko part, and fold it neatly.